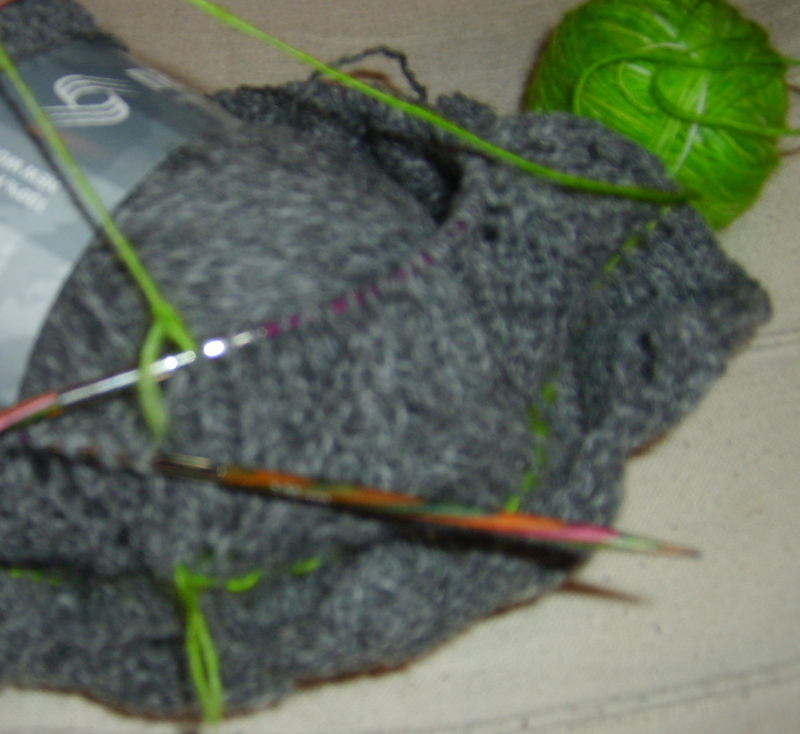 Take a thread or a laceweight yarn and thread it through the little hole in your interchangeble needles. 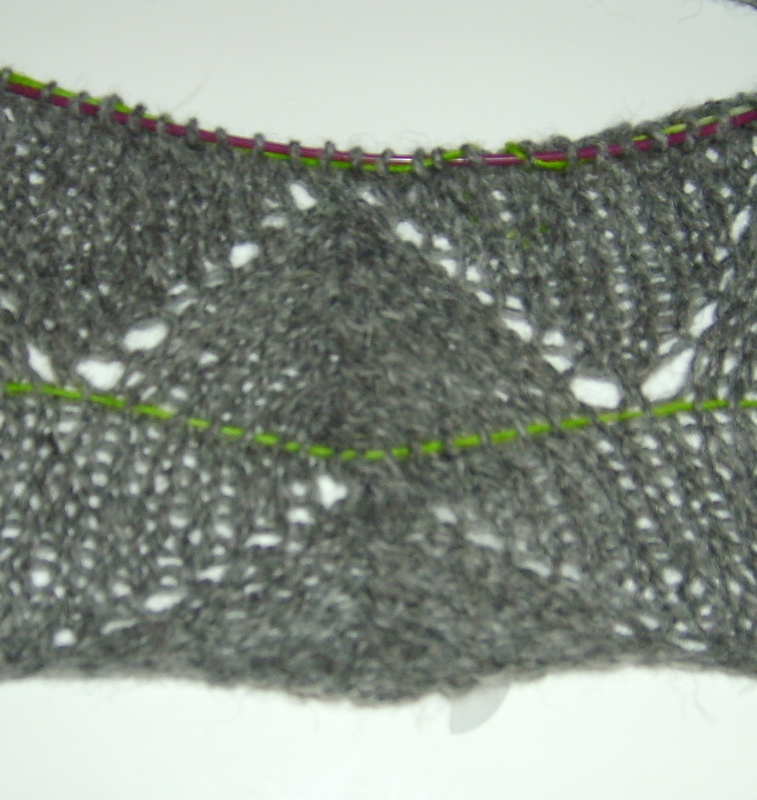 Some people use dental floss but I’m not a fan of menthol in my lace so I use thread or laceweight yarn. Let’s call this extra yarn/thread our helper-yarn. Knit as usual. See how the helper-yarn goes into all the stitches on the needle. When you have reached the end of the row, tie both ends of the helper yarn together. Leave the helper-yarn in and keep knitting. If you find a mistake you can frog your work and it will never go lower than the helper-yarn. 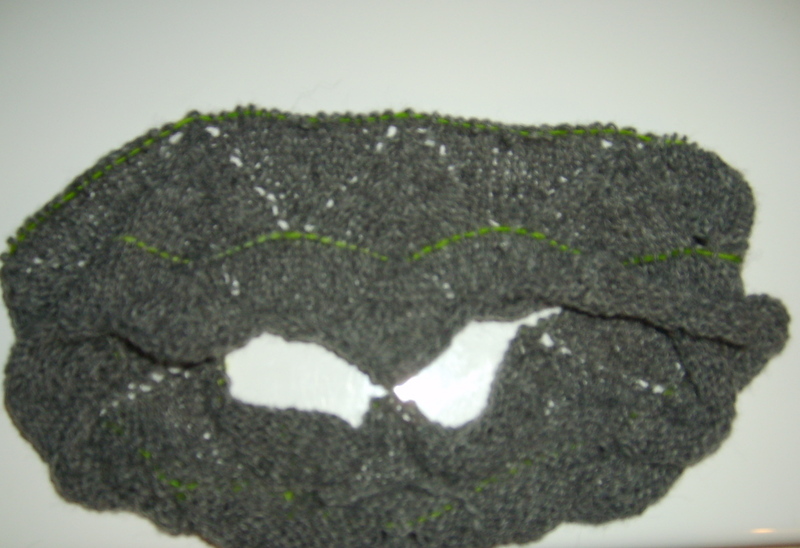 That way you can frog and then put the stitches back on the needles without loosing yo’s, ssk’s and k2tog’s! Posted in tips and tricks and tagged knitting, tips. Bookmark the permalink.